Google had many people assuming that Android updates did not matter anymore. 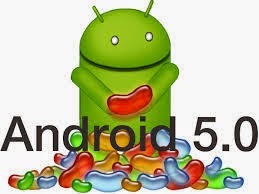 From Android Ice Cream Sandwich 4.0 onwards all changes that Android made to its system were just incremental changes. So much so, that the next 3 versions of Android barely had any difference to the common user with even names given to 2 of them being the same and some cosmetic changes in the UI. However, with Android Lollipop 5.o, Google has managed to make so many changes that any user, not familiar to developments would be left astounded. Lollipop get cosmetic changes as well as under the hood changes with it, making it a complete OS overhaul. 5.0 also brings a ton of new features. Notifications are finally on the lock screen, the functionality of Recent Apps has been revamped to make multitasking a lot easier, and the voice recognition works everywhere—even when the screen is off. The under-the-hood renovations are just as extensive, including a completely new camera API with support for RAW images, a system-wide focus on battery life, and a new runtime—ART—that replaces the aging Dalvik virtual machine. There was plenty of debate over what the new version of Android would be called, with "Lemon Meringue" and even the controversial "Licorice" said to have been in the running at various points. Thankfully the lovable "Lollipop" won out, as Google revealed when it unveiled the new Android update today, but the name is hardly all that's been improved since the last version. One of Android's biggest failings up to date - including with KitKat - has been that its design language never felt unified, and with Material Design Google hopes to fix that. The main aspect of this new look is that it is meant to look both flat and 3 dimensional at the same time.Its clean and bold look will make you appreciate the depth and thought process put into the re design. This extends from app icons, fonts and interfaces to simple elements like the new navigation buttons and notification bar icons, and once you get past the changes you'll likely agree that most things look better now. The changes to the interface arent just visual. Google has added voice recognition throughout the interface. So you can say "OK Google" almost anywhere and expect a response. Google has made Lollipop in such a way that your experience between different versions and devices remains consistent. For example, Android TV is built into lollipop , so you will get a seamless experience while browsing the different versions. Google also aims to ensure more communication between apps. So interacting from an app on your phone to say an app on your smartwatch will be much more smoother. Also, Google wants Android to direct you to the mobile app of a service instead of the mobile website when you open a link. Android does do this sometimes, but Google hopes developers will make use of this feature and extend it to make it more frequent. Google says Lollipop is also better at connecting with Bluetooth and Wi-Fi. For example Lollipop devices won't connect to a Wi-Fi network unless they can verify there's an actual connection there - so unlike with KitKat, you won't be stumped wondering why you suddenly have no data because your gadget decided to connect to a turd of a network. This is the most important thing to most users. A recent survey found that notifications was the most used aspect of a device. People wished they got more notifications on their lock screen instead of having to unlock their device every time. And Google has answered their prayers. In Lollipop you can see what notifications you've received and what's going on with your apps and contacts as soon as you pick it up, before you even unlock your device - and you can even respond to messages from the lockscreen. Notifications are getting more interactive as well as less invasive. You can get them even when your playing a full screen game or video or just ignore them for the time if you so wish. These notifications will only pause the game and not exit it. Some of this functionality was available in KitKat but not to the extent available in Lollipop. Android Lollipop is also getting a "do not disturb" mode a la iOS, which Android KitKat and previous versions sorely lacked. You can use it to silence your ever-buzzing phone during specific hours or, more importantly, to only let notifications from specific sources come through. That's extremely useful if you don't want to be bothered by spam emails all night, but do want to be able to be woken in an emergency. Lollipop's quick settings bar also has new options that KitKat desperately needed, like easy buttons for flashlight, hotspots, and screencasting. Wi-Fi, Bluetooth and location options have been expanded here as well. Android Lollipop has some new security features as well, like the ability to set geographical "safe zones" where your device won't require a PIN to unlock. You can do the same with specific Bluetooth devices, like Android Wear smartwatches, which your phone or tablet will sense automatically and turn off its security barriers. Lollipop also has better protection against vulnerabilities and malware thanks to SELinux enforcing for all applications, and encryption is turned on by default on all Lollipop devices. And the most important change according to us is the optional Android RunTime in KitKat being made default in Lollipop. ART replaces the old and cumbersome Dalvik engine that Android used so far. This is mainly been done to rid Android of the problems Dalvik had. Android users will be well versed with seeing their devices slow down after a duration. The cache getting clogged up and performance issues of the system were mostly caused due to Dalvik. ART promises to improve performance by at least 40%. So that's good news to every android user's ears. This upgrade will also let Android support 64-bit processors , in a response to Apple- if manufactures decide to use them. For now, though, Google says Android 5.0 is way more power-efficient over its predecessors, with the same phones getting significantly more battery juice out of Lollipop than they did with KitKat. Multitasking has also been updated with the ability to have multiple cards for the same apps open at a time, letting you have more than one document or website next to one another, for example. It's also easier to switch keyboards now too, and Android Lollipop even supports RAW images. So if you enjoy Android 5.0 lollipop, you know who to thank for it!! !